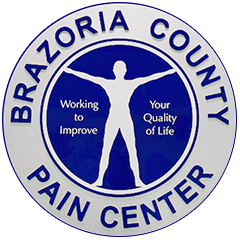 Put your trust in the pain management professionals at the Brazoria County Pain Center in Angleton, Texas. Free yourself from chronic pain and suffering today by seeking the help of our expert team at Brazoria County Pain Center! Dr. Manjit Randhawa, D.O., Eric Hall PA-C and Alissa Strambler NP are committed to utilizing modern scientific advances and methods to relieve your pain through a variety of treatment options. With input from specialists in the field of pain medicine, neurology, neurosurgery, orthopedics, and rheumatology we create a highly individualized plan to help evaluate, diagnose and treat your pain. Comprehensive care is available through interventional and non-interventional management that is customized to your specific needs. Improve your quality of life when you work with the doctors at our office for liberating pain relief. Attentive specialists help you undergo a thorough physical examination in order to locate the source of your pain. Along with musculoskeletal ultrasounds, we couple diagnostic and therapeutic injections in order to provide you with more treatment options outside of the hospital to keep therapy affordable.